During a recent interview with Robert Downey Jr.’s personal Fight Coordinator Eric Oram in support of the just-released Avengers: Age of Ultron Blu-ray, ComicBook.com had a chance to ask Oram not only about his overall approach to Downey's training, but about his specific philosophy on how to make certain particularly touchy combat scenes work. After all, we've seen a fair share of superheroes fighting under mind-control in the first two Avengers films, and next up we have Captain America: Civil War, in which Iron Man and Captain America will square off both philosophically and physically. So...with Civil War, how do you do a fight scene that's effective, convincing and brutal, but doesn't turn your character into a villain because he's whaling on Captain America or other characters the audience cares about? "In combative terms, it's escalation of force," Oram said. "It plays into the character's history. In the beginning, it was all about "me," so there's collateral damage, and he learns he can't be that reckless. That means over the course of the movies, he's had to learn to exert control. The real challenge is having the wisdom of when to use it and when to not." Oram said that when you're fighting with somebody like Captain America (which Oram didn't specifically confirm that Iron Man does, but he did entertain the question and answer on a theoretical level), the trick is to show Iron Man using the "minimum force" necessary to win the fight, and not to look like he's trying to go wild and kill somebody. Not that it's always that easy. "In an individual moment, does he lose sight of that? Can he let his ego make decisions? He has to really try to execute the way he knows he should," Oram explained. Avengers: Age of Ultron is available on Blu-ray, DVD and digital streaming services for rental and sale now. 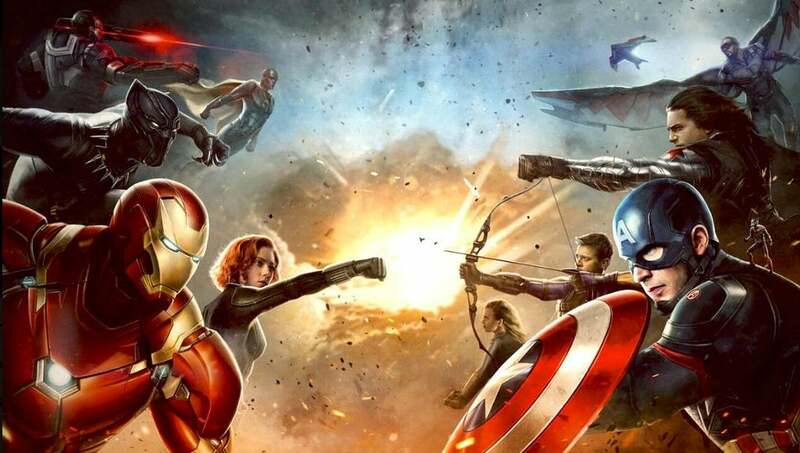 Captain America: Civil War is due in theaters in May. You can find more information and other upcoming release dates on our comic book movie calendar.